We give full emphasis on high quality of our products, since we strongly believe that only by dint of high quality products we can stand in the present competitive market. WHO-GMP CERTIFICATE is an evidence of our this view. We have in-built laboratory equipped with modern testing equipments where all required tests are being made from very beginning i.e. from raw materials to finished products to the extent applicable by competent staff. We follow the norms as laid down in standard operating procedures (SOP) recommended by Indian, British and US pharmaacopoeas. 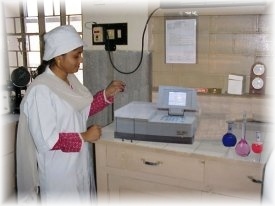 As an evidence, proper document are also being kept for all the test carried on. Periodical training programmes are also held to keep quality awareness among the concerned staff.